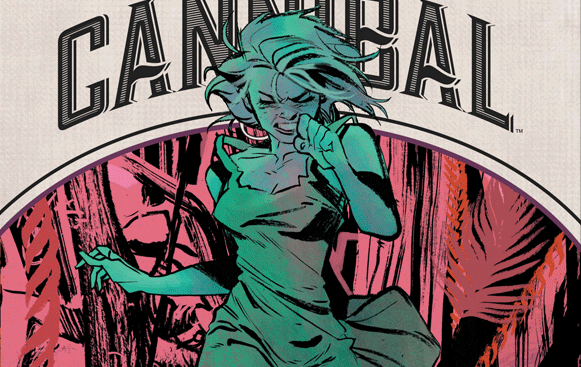 Cannibal #5 Review – AiPT! Them Hansen boys’re up to no good again, what with the whole eating people thing. Buccellato and Young ratchet up the gore in issue #5 of this tale of Southern survivalist horror. In the opening arc of the series, J. Young and Brian Buccellato introduced readers to the Hansen family, an enterprising Southern family trying to get by on a simpler life: Running the family bar, hunting, fishing…and avoiding the plague of murderous cannibals that have been ravaging the world for about a year when we join the story. While we certainly saw a few of the infected in those first four issues, this month goes a little gore-crazy. After a pretty swiftly moving opening arc, this issue starts to fill in the blanks of a few characters that have been a bit underdeveloped thus far. We learn about Jolene’s mental state before her disappearance, get some clarifications on the exact nature of the relationship between Grady and Louise and a shocking final scene that may explain some background details for both the chief of police and Danny. Once again, a special mention should be made of the pacing and shot framing of Matias Bergara. He has a real cinematic flair for staging a scene, with the more gruesome sequences unfolding like an 80s slasher flick, while the more emotional character moments feature shots that speak of classic dramas. The sequence between Louise and Danny calls to mind the Saigon hotel scenes from Apocalypse Now. The final page of the issue is another haunting finale that leaves us waiting patiently for issue #6. Though this outing isn’t as emotionally poignant as earlier issues, there are a number of good sequences that should keep readers invested in Young and Buccellato’s redneck pseudo zombie horror adventure. It’s a fun read that spends a good amount of time creating fleshed out characters in addition to graphic violence, and in a genre that tends to lean too heavily on the latter, it’s a welcome change. Though this outing isn’t as emotionally poignant as earlier issues, there are a number of good sequences that should keep readers invested in Young and Buccellato’s redneck pseudo zombie horror adventure. 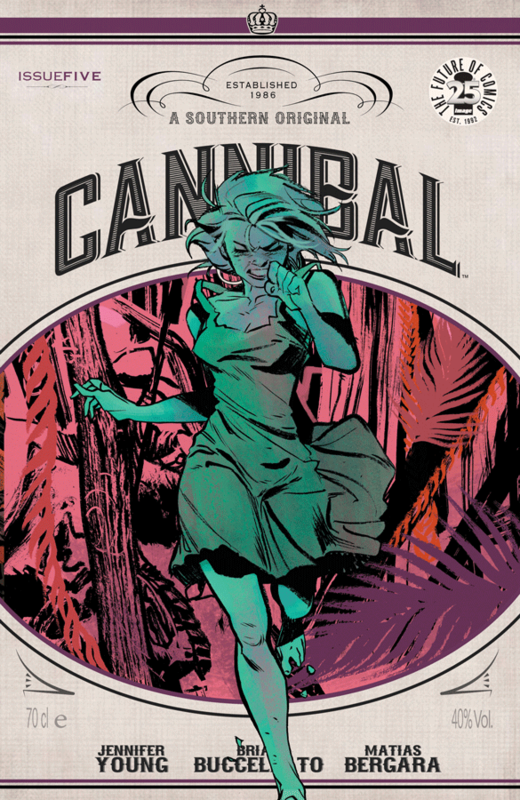 This issue is a little light on character development, even if it creates a more robust exposition on the mechanics of the cannibal plague.